See you on May 28th at 6PM sharp! 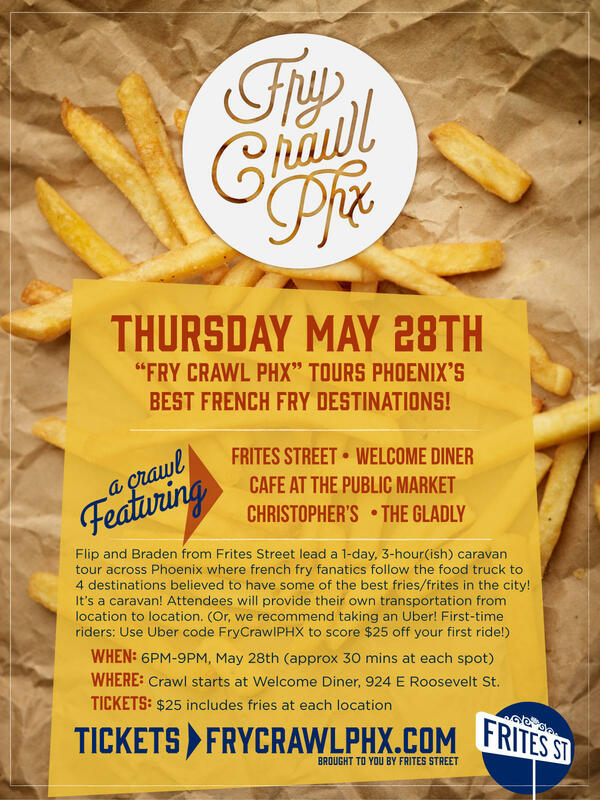 We gotta give a massive thanks to the awesome Fry Crawl PHX venues and their amazing fries: Welcome Diner, Cafe at the Phoenix Public Market, Christopher's and The Gladly! And our pals at Uber rock! Frites Street is proud to work with you all!